Circle 2 secures your home and footage while giving you the privacy you need. Protect your home, day and night. Smart Alerts. Smart Location. And the ability to take action from anywhere. Circle 2 is serious whole home security made simple. Smart Alerts intelligently analyze motion to make sure you only get relevant alerts that you can trust, no matter where you are. Add Circle Safe™ Premium and Smart Alerts can also detect people; and after you define Motion Zones, where in the home the action took place. When enabled, Smart Location automatically detects when you leave the house or come home. Receive alerts when you're away and pause alerts when you're back. If you see something suspicious, you can take action directly from the Circle app - take a snapshot, download footage, or use Talk and Listen to deter them. You can count on your footage being secure. 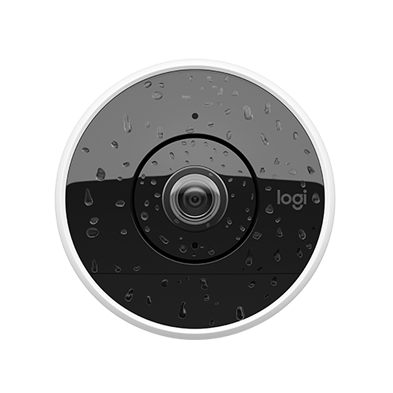 Every Circle security camera is digitally signed and comes with 24 hours of free AES 256 Bit Dual Layer Encryption storage in your own secure private cloud. Each surveillance camera is secured digitally by a unique identification process to prevent unauthorized access and coded to only talk to your secure cloud. No matter where you are, only you have access to your footage using your Logi Circle mobile app or Web App. All footage is transferred securely using the latest industry standard security protocols (TLS 1.2 and greater). Your footage is also stored using double layer encryption (AES 256) for extra security and protection. The Circle app makes it easy to stop live streaming and recordings. When the camera is plugged in, the LED indicates whether the security camera is powered on, in Privacy Mode, or off.